I have seen this scene play out several times this week .. Spring is in the air. These two Mallards will certainly have some young Mallards this spring. 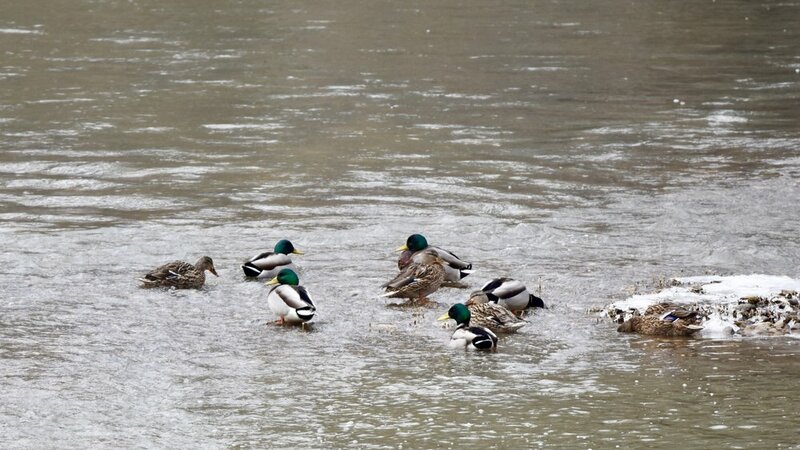 Mallards are Monogamous. Bring on the warmer weather, and some green.